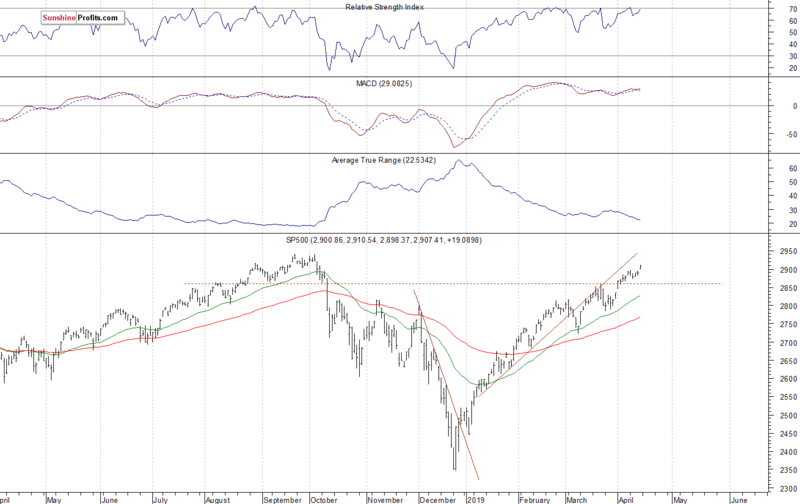 SP 500 at 2,900 Mark, Will Stocks Break Higher? 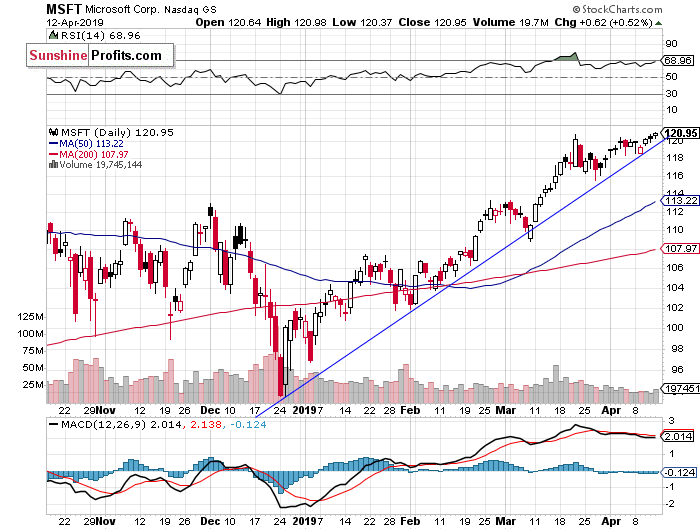 The U.S. stock market indexes gained 0.5-1.0% on Friday, breaking above the recent trading range, as investors' sentiment improved following the first quarterly earnings releases, among other factors. The S&P 500 index retraced more of its October-December downward correction of 20.2% on Friday. It broke above the 2,900 level. The broad stock market's gauge is now just 1.1% below September the 21st record high of 2,940.91. 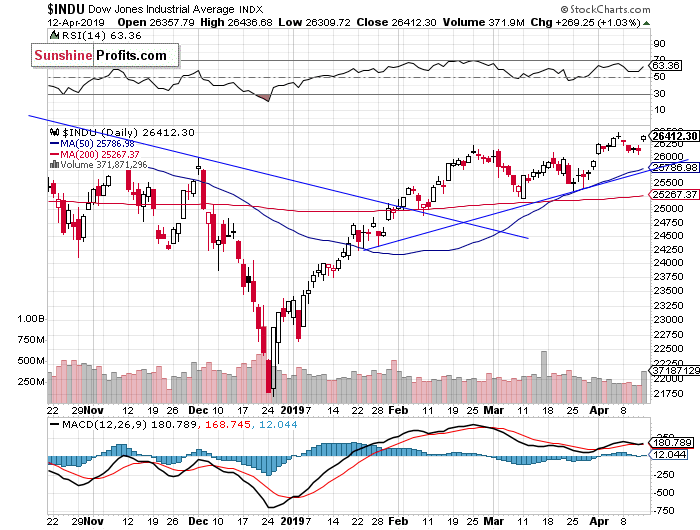 The Dow Jones Industrial Average gained 1.0% and the Nasdaq Composite gained 0.5% on Friday. The nearest important resistance level of the S&P 500 index is now at 2,920-2,940, marked by the mentioned record high, among others. On the other hand, the support level is now at 2,900, marked by the recent resistance level. The support level is also at 2,860-2,865, marked by the recent local lows. Expectations before the opening of today's trading session are virtually flat, because the index futures contracts trade between -0.1% and +0.2% vs. their Friday's closing prices. The European stock market indexes have been mixed so far. Investors will wait for the Empire State Manufacturing Index release at 8:30 a.m. They will also wait for the quarterly earnings releases. Stocks will likely fluctuate following Friday's rally. There have been no confirmed negative signals so far. However, we could see some more uncertainty as the broad stock market's gauge gets closer to the mentioned September's record high. 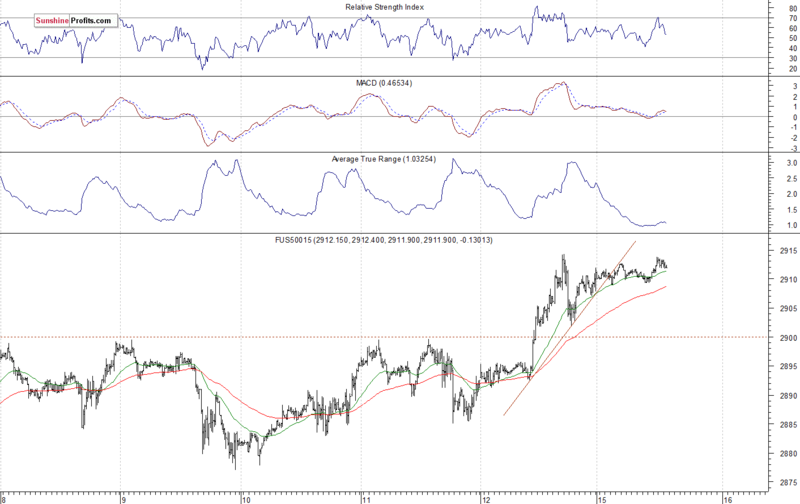 The S&P 500 index extended its medium-term uptrend on Friday, as it got the highest since the early October. 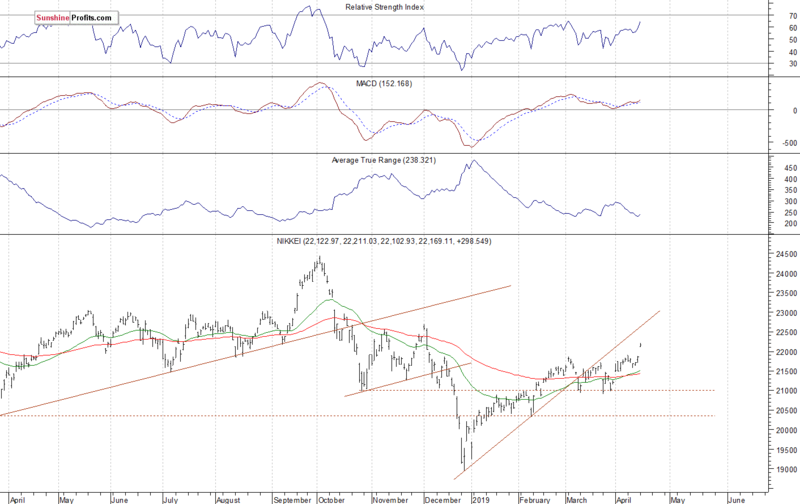 The broad stock market broke above its week-long consolidation. 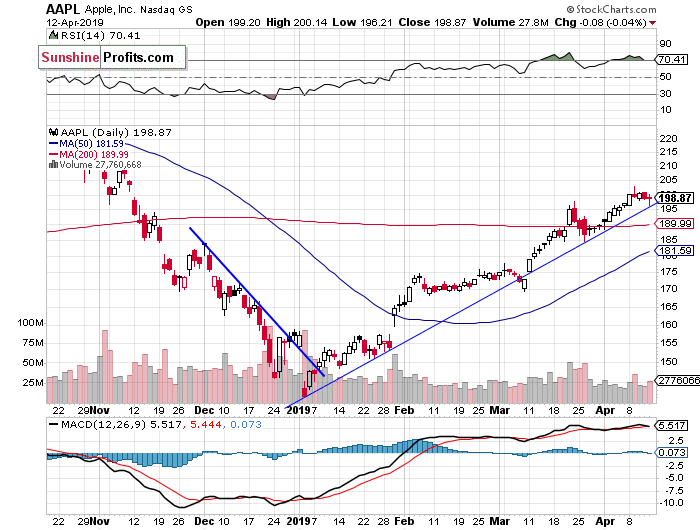 We previously wrote that it looked like a flat correction within an uptrend. And it did. But will the market reach the September's record high? We may see some profit-taking action, as stocks trade closer to their resistance levels. If you enjoyed the above analysis and would like to receive free follow-ups, we encourage you to sign up for our daily newsletter - it's free and if you don't like it, you can unsubscribe with just 2 clicks. If you sign up today, you'll also get 7 days of free access to our premium daily Gold & Silver Trading Alerts. Sign up today! Przemyslaw Radomski is the founder, owner and the main editor of www.SunshineProfits.com. Being passionately curious about the market’s behavior he uses his statistical and financial background to question the common views and profit on the misconceptions. “Don’t fight the emotionality on the market – take advantage of it!” is one of his favorite mottos. His time is divided mainly to analyzing various markets with emphasis on the precious metals, managing his own portfolio, writing commentaries, essays and developing financial software. Most of the time he’s got left is spent on reading everything he can about the markets, psychology, philosophy and statistics. Mr. Radomski has started investigating the markets for his private use well before starting his professional career. He used to work as an informatics consultant, but this time-consuming profession left him little time for his true passion – the interdisciplinary market analysis. Establishing www.SunshineProfits.com gave him the opportunity to put his thoughts, ideas, and experience into form available to other investors. 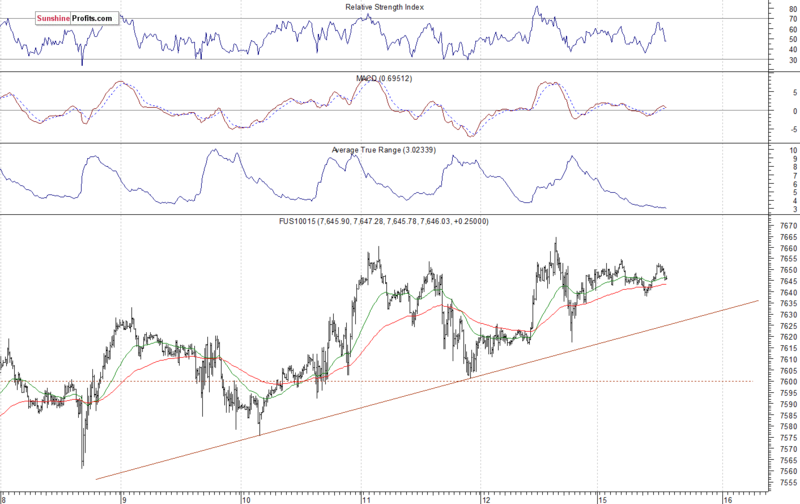 S&P 500's Downward Reversal or Just Profit-Taking Action?